We know your pets are important to you. After all, they are a part of your family. That's why here at Cottonwood, "We have warm hearts for cold noses". When you visit, we will do our best to answer your questions, diagnose your pet's condition and provide the most comprehensive and cost effective solution possible. Our mission is to practice the demanding science of veterinary medicine while maintaining a firm grasp on the art of healing. 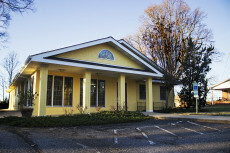 Located just minutes from downtown Shelby on Hwy. 18 North, we are a full service veterinary hospital providing a wide range of health care services for dogs and cats. These include wellness checks and vaccinations, dental, surgical, and diagnostic procedures. We also offer boarding and carry a complete line of foods, flea, tick and heartworm products. We hope you will find our web site informative. Please feel free to call or stop by and visit. We are looking forward to meeting you and your pet. IMPORTANT NOTICE!!! Our office will be closed Saturday, April 27, 2019 and will re-open Monday, April 29 at 8a.m. Please call our office if you have any questions or concerns. Thank you.